The word aura comes from the Greek Avra meaning breeze. The aura also known as the bio-energy field is seen as a pulsating field of energy composed of one or more moving colors surrounding the human body. 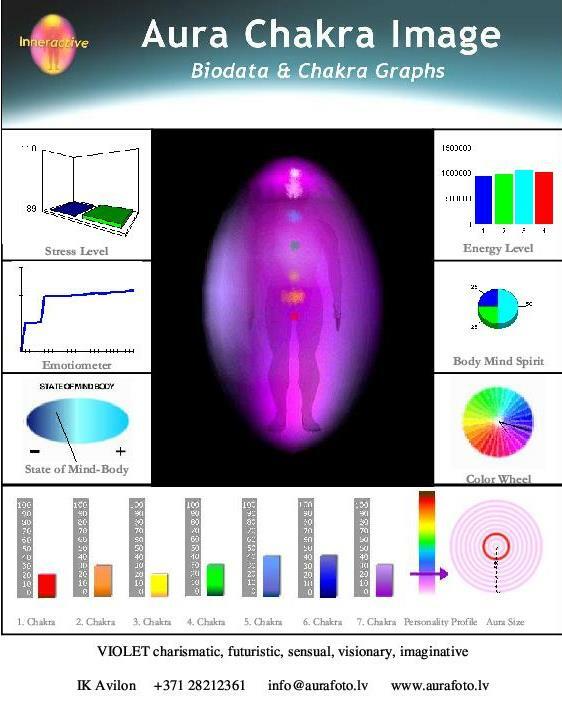 The colors and size of aura varies according to the health and thoughts of the person observed. Everyone has a basic color, which ties in with our personality and soul growth. How It Works? The Aura Video Station is using Biofeedback sensors to measure, analyze, and process the biofeedback data of the energetic and activity levels of the client. This bio data is correlated with specific emotional-energetic states and then displayed on the screen.